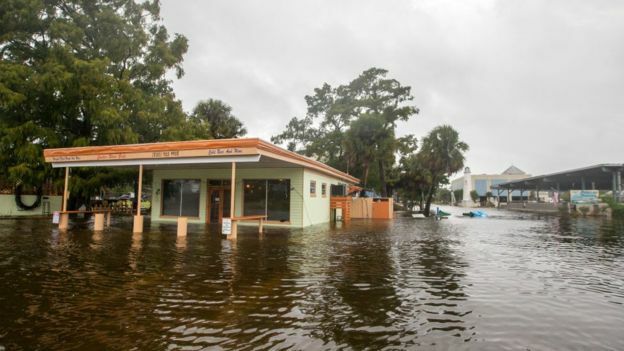 According to the National Hurricane Center, the eye of the storm touched land near Mexico Beach, Florida on Tuesday afternoon. "Do not leave your house," Florida Governor Rick Scott said on Wednesday. Those people "who stick around and experience storm surge unfortunately don't usually live to tell about it," he said, adding that they put first responders at risk as well. In a meeting at the White House, Mr Long told the president that he is especially concerned about buildings that were built before 2001, and are not able to withstand category three winds.